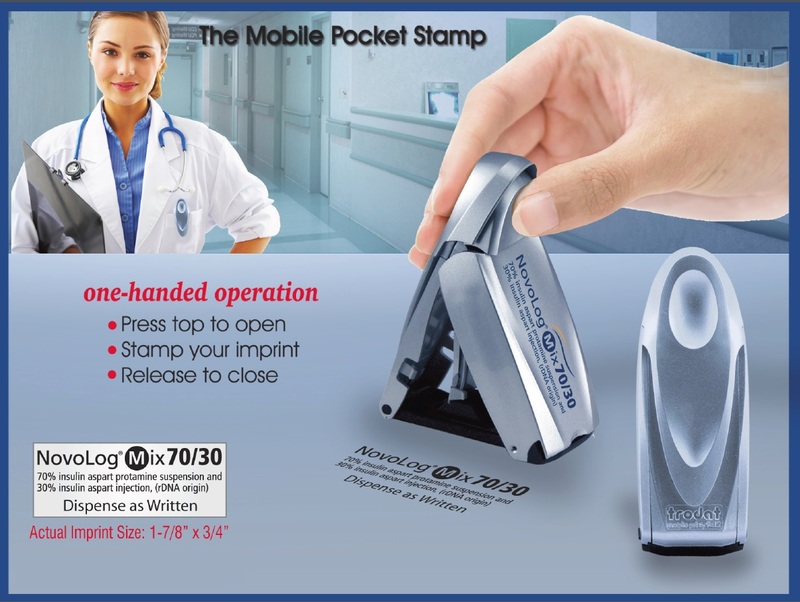 Innovative, compact, folding, 1/2″ x 1 1/2″ self-inking prescription pocket stamp offers a combination of a large imprint area and the convenience of mobility. 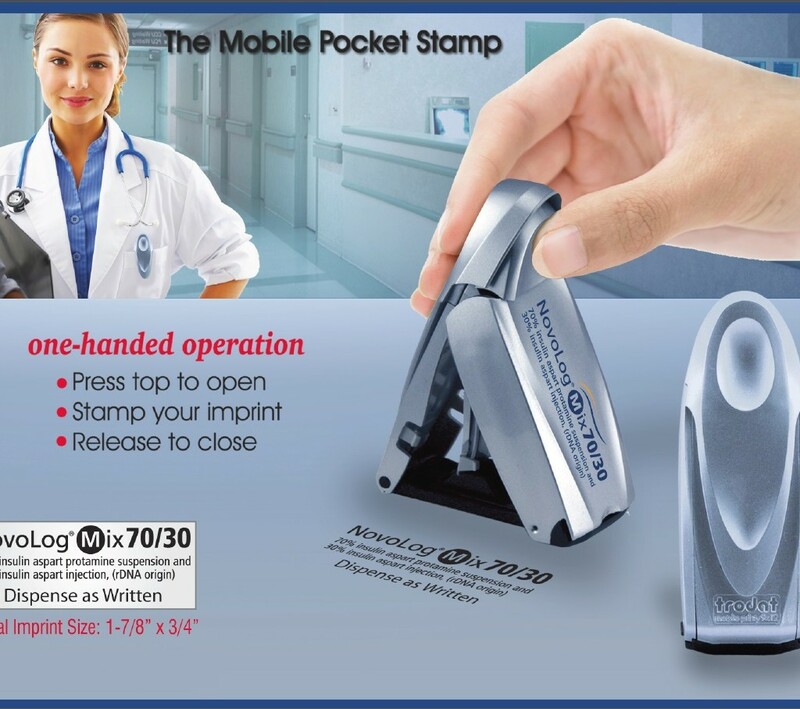 Simply press the button and it opens automatically ready for stamping. Release the button and it closes and fits nicely in a lab coat pocket.